If you had to choose one field of engineering that is characterised by versatility, it would have to be electrical engineering. The limitless number of applications and particularly the complexity of these applications make this an extremely interesting field in which to work. However, it is important to remember that increasingly high demands are being placed on the quality of the personnel. Ensuring the availability of qualified technical personnel is one of TecLine’s specialities. Whether it concerns the operating technology controlling a ride at an amusement park or the installation of equipment on luxury yachts, TecLine has exactly the right team of experts on hand. Right now over 80% of the work completed by TecLine technicians is carried out by electrical engineers. Tender periods are getting longer while actual construction times are shortening, which means that the TecLine total concept is becoming increasingly valuable. TecLine experts can be called upon in all stages of the process, guaranteeing results! For years, the field of mechanical engineering has held a completely unique position in the technology industry. Wind farms represent one of the most eye-catching branches of the field. The technicians responsible for the installation and maintenance of wind farms are all specially trained and certified, including the relevant climbing and safety training. Experts looking to work in this segment require experience and an outstanding track record. The working area of clients active in this field spreads far and wide, which makes labour mobility a major advantage. TecLine is in the position to put teams into place all over the world, also arranging transport and any necessary accommodation. But most importantly, we provide teams with the necessary project experience and expertise. After all, that is ultimately the bottom line. Ship- and yacht building also make up part of this field. 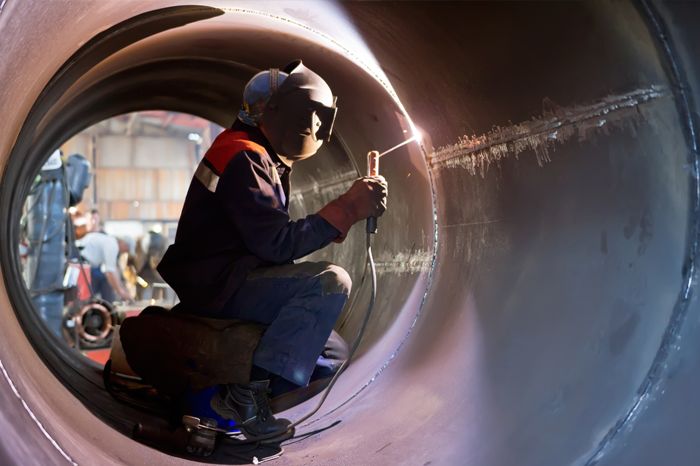 In addition to relevant experience, shipbuilders also need to be able to work in accordance with the regulations applicable within the client’s environment. In addition to large projects linked to the construction of new housing, TecLine is also witnessing growth due to efforts to make existing housing more sustainable (primarily using electromechanical installations). The increased complexity of projects in the Infrastructure and Industry sectors has significantly boosted the demand for highly-qualified personnel. With its specially developed competency model, TecLine is in the position to fully satisfy this demand. 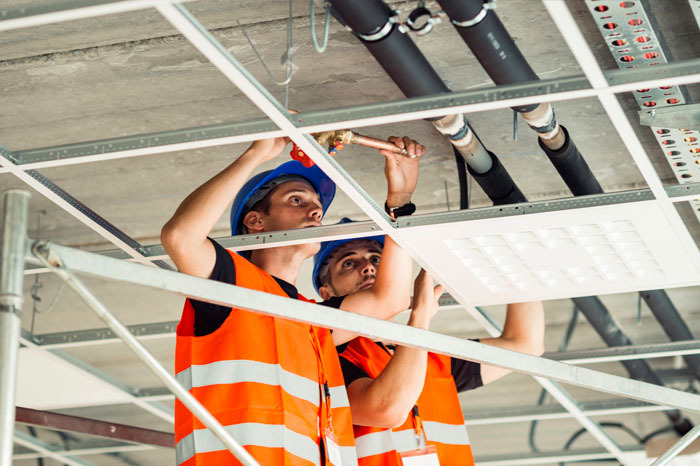 Opting for a total approach to projects – from consultation and design through to installation and maintenance – is a logical step for contractors looking to increase their gross margin. However, such an approach places different demands on the technicians’ level of qualification. TecLine has the right experts for each phase of the process. In the case of capacity-linked demand, efficiency and price play a primary role. With a swift response time and fixed hourly rate, irrespective of the location, TecLine is always ready to spring into action. We supply the experts you need, whether you are operating in a peak or low period. TecLine is your personnel partner for filling temporary and permanent technical vacancies. Our services are designed with the requirements of both large and small organisations in mind. Every sector has its own unique aspects and therefore requires a specific approach. You will benefit from our proven track record in the Industry, Utility, Infrastructure, Telecom, Energy and Maritime sectors. Every successful collaboration begins with a good discussion. Contact us to make an informal appointment to discuss the options. We would be pleased to visit your offices.